A tough new sanctions bill wouldn't hurt Russia's oil industry very badly, because it's decreased its reliance on Western technology and finance in recent years. MOSCOW — Stiff new U.S. sanctions against Russia would only have a limited impact on its oil industry because it has drastically reduced its reliance on Western funding and foreign partnerships and is lessening its dependence on imported technology. Western sanctions imposed in 2014 over Russia’s annexation of Crimea have already made it extremely hard for many state oil firms such as Rosneft to borrow abroad or use Western technology to develop shale, offshore and Arctic deposits. While those measures have slowed down a number of challenging oil projects, they have done little to halt the Russian industry’s growth with production near a record high of 11.2 million barrels per day in July — and set to climb further. Since 2014, the Russian oil industry has effectively halted borrowing from Western institutions, instead relying on its own cash flow and lending from state-owned banks while developing technology to replace services once supplied by Western firms. Analysts say this is partly why Russian oil stocks have been relatively unscathed since U.S. senators introduced legislation to impose new sanctions on Russia over its interference in U.S. elections and its activities in Syria and Ukraine. The measures introduced on Aug. 2, dubbed by the senators as the “bill from hell”, include potential curbs on the operations of state-owned Russian banks, restrictions on holding Russian sovereign debt as well as measures against Western involvement in Russian oil and gas projects. While the ruble has fallen more than 10 percent and Russian banking stocks have slumped 20 percent since the legislation was introduced, shares in Russian oil firms have climbed 2 percent, leaving them 27 percent higher so far in 2018. “The main driver of the Russian oil industry’s profitability is the oil price denominated in roubles and it is currently posting new records as the rouble is getting weaker. Hence the sanction noise often even has a positive impact on Russian oil stocks,” said Dmitry Marinchenko at Fitch Ratings. The prospects for the latest U.S. sanctions bill are not immediately clear. It would have to pass both the Senate and House of Representatives and then be signed into law by President Donald Trump. To be sure, Washington could really hurt the Russian oil industry if it introduced Iran-like measures forbidding oil purchases from the country. But given Russia produces more than 11 percent of global crude, such a measure would lead to a major spike in oil prices and hit the United States itself hard, as it is the world’s largest oil consumer. Russian gas exporting monopoly Gazprom, for example, has maintained its output since 2014 and actually increased exports to Europe to an all-time high in 2017, securing a 34 percent share of EU markets amid rising demand. 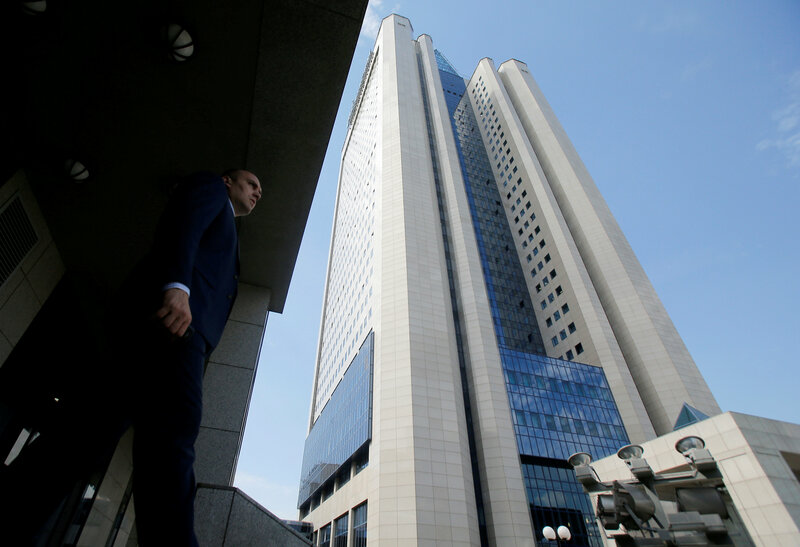 But of all Russian oil and gas companies, it is the only one to have borrowed significant sums from the West — about $5 billion in 2017 and $3 billion in 2018 so far — using Eurobonds and syndicated loans. What’s more, those amounts are only equivalent to a small proportion of Gazprom’s annual capital spending of $22 billion. The rest of the Russian oil industry invests a similar amount each year as well, mostly without Western funding. That represents a major departure from the years prior to the sanctions when the lion’s share of Russian oil industry’s borrowing came from Western banks or export-backed facilities with trading houses and major oil companies. In 2013, for example, a year before the first Western sanctions, Rosneft alone borrowed more than $35 billion from Western institutions to buy smaller rival TNK-BP and to fund its capital spending. There has been a similar shift in joint ventures between Russian and Western companies. A decade ago, dozens of projects were planned but the number has shrunk to just a few ventures, which are important but not critical to help Russia maintain its output growth. U.S. oil giant Exxon Mobil and Italy’s Eni, for example, have dropped plans to help Russia develop offshore fields and U.S. company ConocoPhillips sold out from Russia’s biggest private oil firm Lukoil. The key remaining ventures involving Western companies are three projects between BP and Rosneft in East and West Siberia and a gas venture between Rosneft and Exxon Mobil on Sakhalin island. Also on the gas front, Royal Dutch Shell and France’s Total have been considering new liquefied natural gas projects with Gazprom and Novatek, as well as a new pipeline to Europe under the Baltic Sea. But to put the projects in perspective, the combined cost of all of them is about $50 billion — less than a 10th of the Russian oil industry’s investment program for the next decade. And if Western institutions are wary of lending to Russia, other countries such as China have been prepared to step in. Novatek and Total, for example, launched the $27 billion Yamal LNG plant this year with Beijing’s financial support. The weakest link in the Russian oil industry in the face of sanctions has traditionally been high-end Western technology such as complex drilling, hydraulic fracturing or IT, said Denis Borisov, director of EY’s oil and gas center in Moscow. 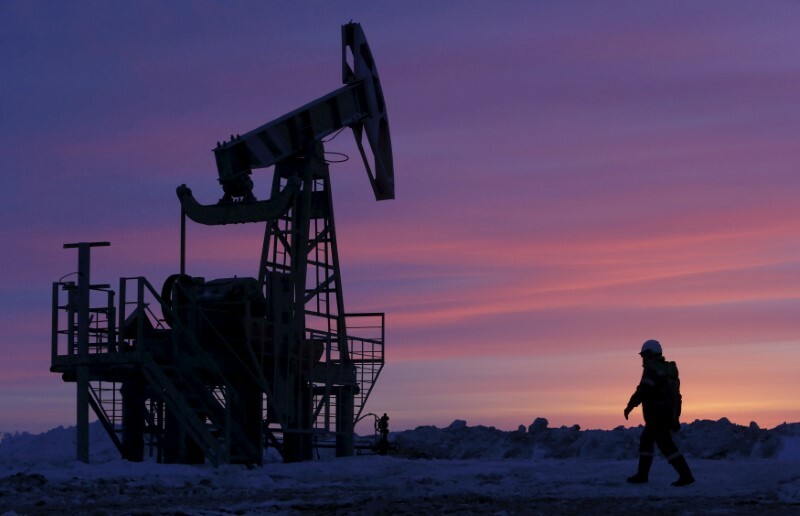 Russia’s drilling and oil servicing market is worth about $20 billion a year and the share of the market held by Western service companies has remained fairly steady over the last few years and at about a fifth. “But the process of replacing foreign equipment with local production has gathered pace,” said Borisov. Rosneft, which produces 40 percent of Russian oil, has recently tested its own simulated hydraulic fracturing technology — the extraction technique that spurred the boom in U.S. shale oil production. The technology first came to Russia mainly via major Western oil services firms such as Schlumberger and Halliburton. Companies such as Schlumberger are still doing a lot of complex drilling work in the Caspian Sea and West Siberia for Lukoil, as well as working on the world’s longest extended reach well for Exxon and Rosneft off the Sakhalin island. But Fitch’s Marinchenko said the reliance of Russian oil firms on Western technology has declined since 2014 thanks to imports from China and local production of drilling equipment. Since 2014, Rosneft’s own drilling subsidiary has doubled its market share to 25 percent, meaning the company has become almost self sufficient. Additional reporting by Vladimir Soldatkin.